The importance of “creating a stir” in the fermentation tanks of fully mixed bio-reactors for better biogas yields, and improved process stability, is becoming better understood by many AD plant clients around the globe, as more Anaerobic Digestion Plants are being built and the biogas industry matures. A scan of world news on this subject revealed that biogas operators, and researchers, from China to Malta are investing in biogas reactor mixing equipment. In the first news release we have here, the Landia GasMix system has been installed as a research tool. This has been done in order to discover achievable “best practise” biogas production data, for feedstocks consisting mainly of rice straw and liquid pig manure. In the second a new completely mixed biogas reactor will have a biogas recirculating gas sparge system installed centrally in the top of the circular fermentation tank, to provide good mixing. And, in the third another proprietary mixing system is installed for process improvement purposes. In our final release, it is clear that water treatment companies are also retrofitting enhanced mixing systems, and in this case the system (with other optimizations included) is said to be 3 times quicker to achieve the required biogas output, than a standard plant, as a result. One of China’s key comprehensive educational institutions has installed Landia’s GasMix digester mixing system to test various feedstocks and ascertain the best methods for optimising the AD process. 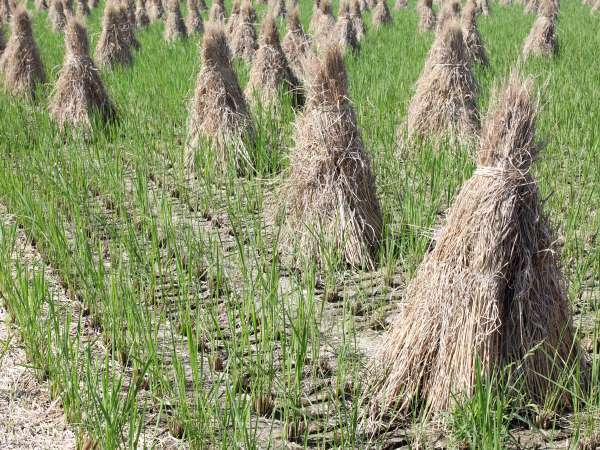 Located in the ancient capital of six dynasties in eastern China, the University of Nanjing’s Bioenergy Research Institute has so far been experimenting with feedstocks consisting mainly of rice straw and liquid pig manure that is mixed and pumped to the digester. 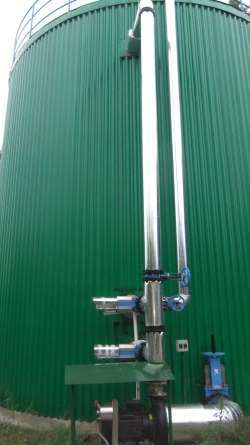 The 300m³ digester at the pilot plant benefits significantly from the fact that the Landia GasMix is externally mounted. This makes routine servicing much easier than trying to gain access to traditional propeller mixer systems that are located inside the digester. This disadvantaged design always creates significant downtime, as well as health and safety issues because of having to empty the digester. “Not only is the entire mixing system of the Landia GasMix mounted outside the digester, the power consumption is also low and the cutting system of the chopper pump cuts straw into smaller particles”. 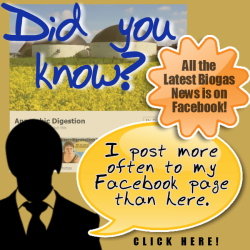 He continued: “As an added bonus, it has also turned out that biogas production is much higher than expected”. An 18.5 kW Landia GasMix is installed at the university’s biogas plant, but because it only requires only a short operation time to mix the whole digester, approximately 20% – it is very energy efficient. Compared to the increased biogas production, GasMix can be considered an ‘energy neutral’ mixing system – one that truly mixes the entire contents of the tank for optimum efficiency. Landia will be at the UK AD & Biogas Conference and Exhibition (Stand B101) on July 1st and July 2nd, when a researcher from Denmark’s University Of Aarhus will present never previously revealed findings on the Landia GasMix system. “the Omnivore retrofit demonstrates how wastewater treatment plants (WWTP) can increase digester loading and biogas production using existing infrastructure. David Schneider, vice president of business development with Anaergia, said the retrofit includes the company’s high solid hydraulic mixing system and the proprietary recuperative thickening system. The system’s purpose is to create capacity in the existing digester tank. 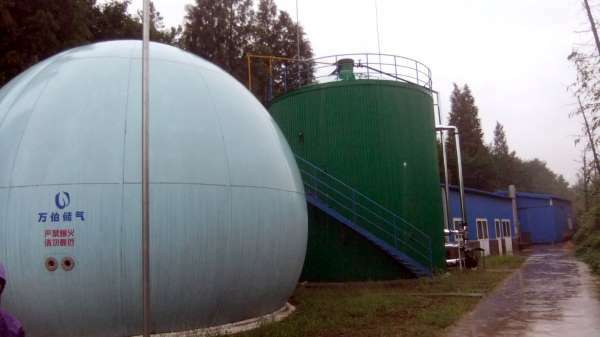 In fact, a traditional digester must have three times the volume of an Omnivore digester to produce the same amount of biogas, according to the company. We hope that you agree that the evidence we have provided in this article shows that biogas plant substrate mixing during fermentation is creating a “stir”, or at least a lot of action from AD Plant Operators! Nice way of looking at it. Seems like this has a good title, which made me interested. But, really ‘creating a stir’ is well worthwhile. You get better yield and a better gas at the same time.